Galway has now been officially awarded a European Region of Gastronomy 2018, the first region in Ireland to receive this designation. 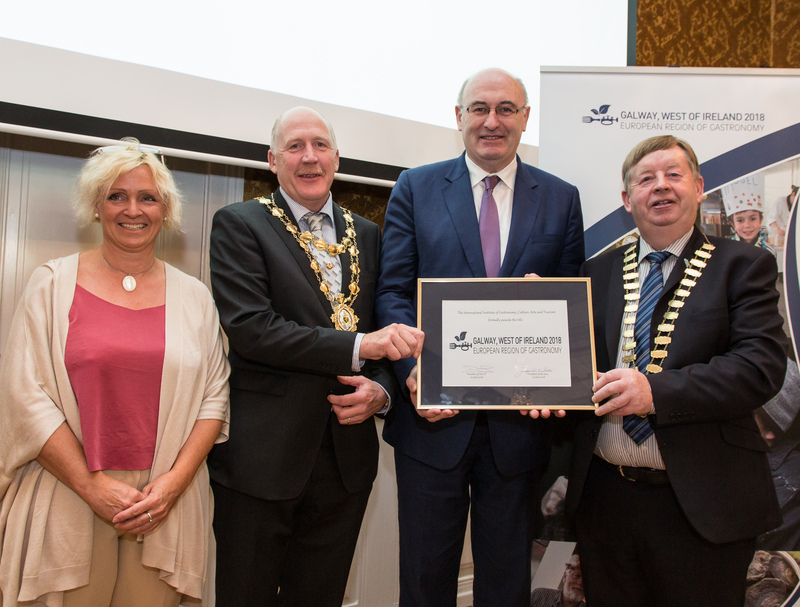 The award was presented by Phil Hogan, European Commissioner for Agriculture and Rural Development and Dr. Diane Dodd, President of IGCAT at a ceremony held yesterday in Aarhus, Central Denmark at the IFAMA (International Food and Agribusiness Management Association) conference. 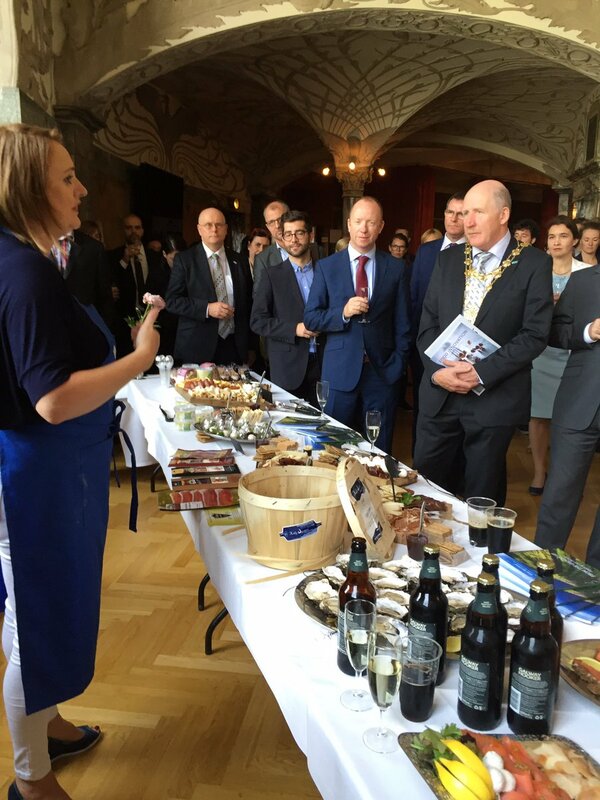 The award ceremony was followed by a ‘Taste of Galway’ which featured a range of excellent local foods and produce from Galway. Ireland’s reputation as a food destination and country known for producing high quality food has grown significantly and Galway has played a significant role in this. Excellent restaurants, including two of Ireland’s Michelin star restaurants and a large number of other high quality restaurants sourcing high quality local produce along with fantastic landscape, superb hospitality, heritage, culture and people make it a choice for many to visit but also importantly as a place to live. It is strengths such as these that also add to Galway’s attractiveness for investment by many of the top global and national firms, where employees know they can access high quality food offerings. The lead up to securing this designation has required significant work locally involving a wide range of stakeholders from the public, private, knowledge institutions and community & voluntary sectors. 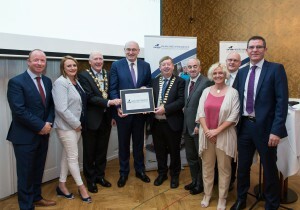 Five key focus areas for Galway were agreed for the programme entitled ‘From the Ground Up Feeding our Future’ and these are Education and Health; Linking Urban / Rural; Cultural Diversity; Sustainability and Feeding the Planet; Supporting SMEs and Innovation.